I started working on the iSpy quilt for ‘The Blue One’ for the camper. Thanks to the multiple charm swaps I participated in, I didn’t have to cut out 88 5×5″ fabric squares for this quilt. I also had most of the sashing strips pre-cut because I did them when I cut the strips for ‘The Pink One’s’ quilt 2 weeks ago. I only had to cut extras because I decided to add blocks to each of their quilts. 1) I had them, so why not? 2) He’s taller than The Pink One, so I figured he could benefit from a few more inches of fabric! Next step – press them all open, lay them out one more time, and start assembling blocks. I’m not really sure when that’s going to happen, because we’re camping for the first time this weekend, and there is a lot to do to get ready for the trip. On top of that, we’ve got 2 neighbor kids overnight for the next 2 nights, so there will be a little extra activity at our house. Heck, maybe I SHOULD lock myself in my craft room and work on the blocks. I don’t think the knob has a lock, but maybe I can barricade myself in there! There’s a thought! 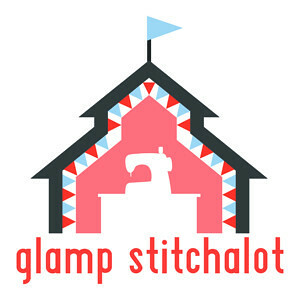 Yes, I have considered taking my sewing machine on the camping trip, but since I’m usually the one telling the family to get out of the camper, I don’t think it would be cool if I was the one sitting inside sewing! 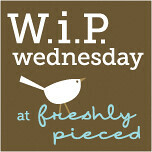 PS – I’m linking up to Freshley Pieced again today. Happy WIP Wednesday, all! This entry was posted in Quilts and tagged charm squares, iSpy quilt. Bookmark the permalink. 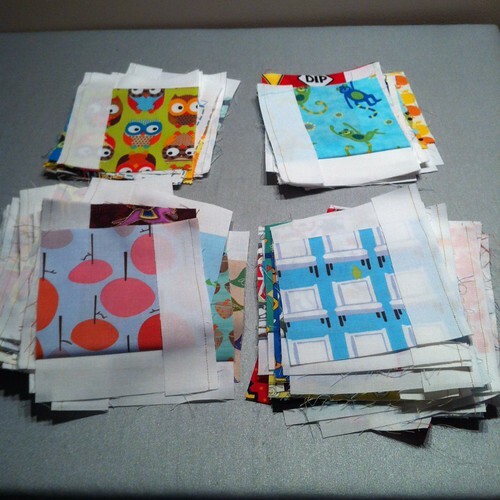 That is great that you were able to get such a good variety of squares from swaps – I’ve been very slowly collecting squares to make an I spy quilt for my little one. I haven’t done any swaps yet but that’s a great idea for getting those charms. I have an “I Spy” quilt on my wish list, but I’m thinking of making it with 2 squares of each fabric, so it can be a matching game also. I like your idea to put on the sashing! The sashing breaks it up just a bit, which is what this quilt needed. OH MY GOSH! I love those little owls! I tried to respond to your email, but you are listed as a noreply blogger. If you want to, you can send me your email address and I will get back to you.